After making your tanning appointment begin moisturizing your skin at least 2 times a day to prepare your skin for tanning. Bonus Points if your tan is scheduled a few days in advance. The more time you have to moisturize, the better. Come to your appointment with clean skin. We advise against wearing deodorant, lotions or perfumed products. If this is unavoidable, let your tanning technician know. We keep on hand, makeup removers and can remove lotions and deodorant before hand. While tanning lips tend to get very dry. We recommend wearing lip balm or lipstick to your appointment to keep those lips nice and hydrated. Unless otherwise specified by your tanning technician, we recommend that you leave your tan on at least 10 to 12 hours before you take your first shower. DHA will deepen in color 3 to 5 hours after your tan and will continue to develop for up to 24 hours. Letting your tan set in will ensure a deep tan that will last. During color development and until your first shower, we highly recommend avoiding water and heavy petting. Rain, swimming, splashes of water, and even sweat can result in streaky uneven results. Make every effort to avoid sweating as much as possible. Sweating while sleeping; or any time during the development process may lead to streaky results. 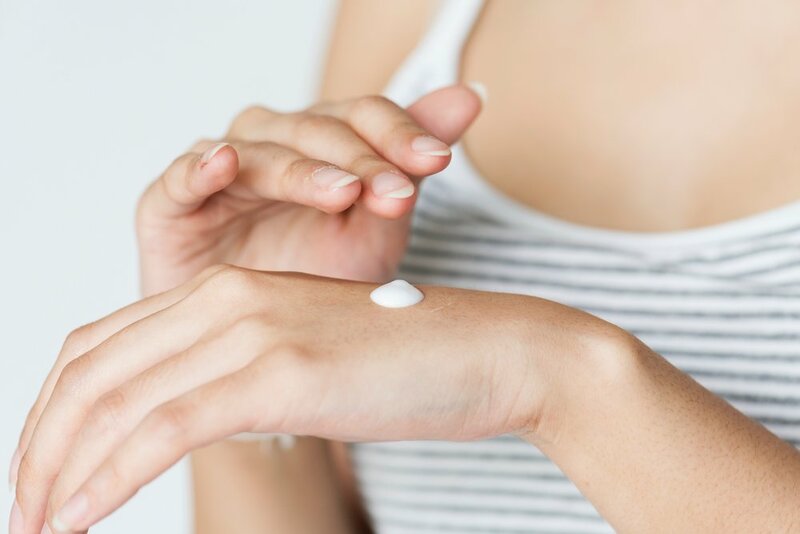 Also keep in mind that touching your skin with your hands can cause the color to transfer color to the palms of your hands or finger tips, so you may want to steer clear of hand contact as well. During your first shower rinse thoroughly with plain water, removing the temporary bronze color until the water is clear. Be especially aware of rinsing your feet and ankle area as those areas can become uneven or too dark in color. Wait 8 hours after your shower to begin moisturizing to allow for your tan to fully set. Then moisturize daily! Wait at least 24 hours from your first shower until your second shower.